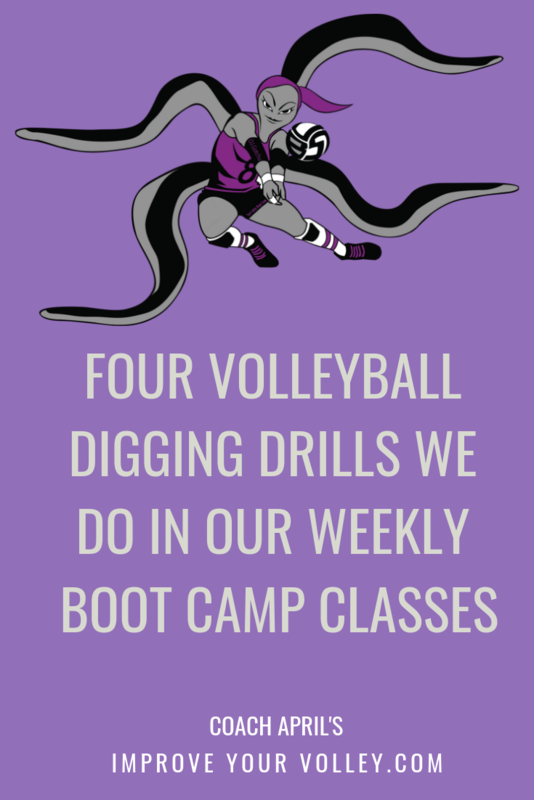 Discover the variations of this ball control volleyball drill that we do in Volleyball Voice Boot Camp classes and learn why we do them. 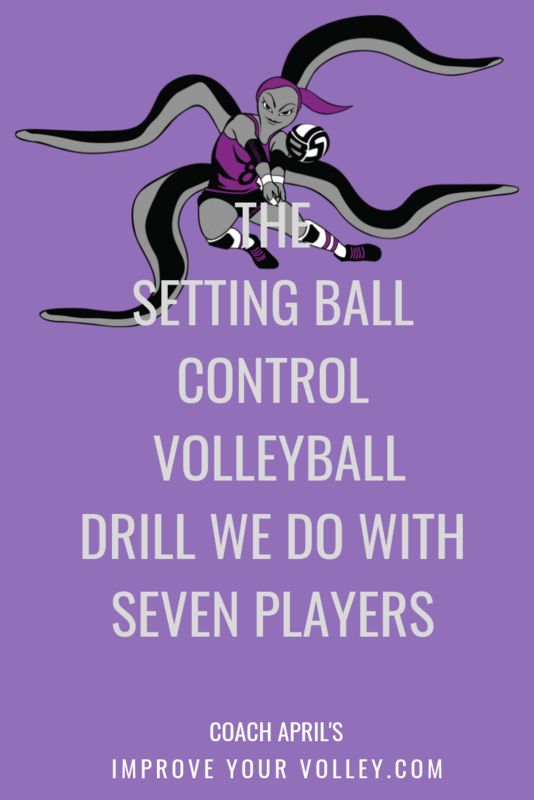 The ball control volleyball drill I describe below is the advanced version of the call and response drill I talked about on the Volleyball Practice Drills For Setters and Non Setters page. 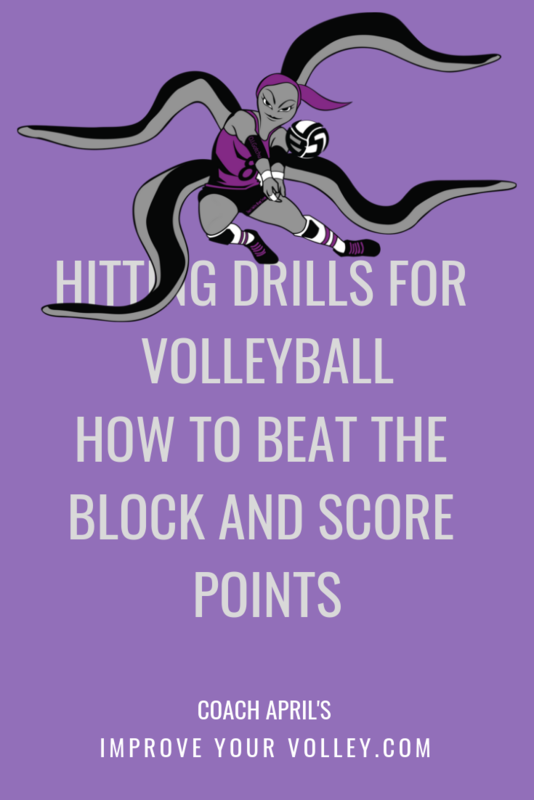 This version incorporates more advanced techniques like jump setting and back setting. US Olympian Courtney Thompson back setting to her hitter. When a player jumps to set a ball, completing the contact and release before landing. 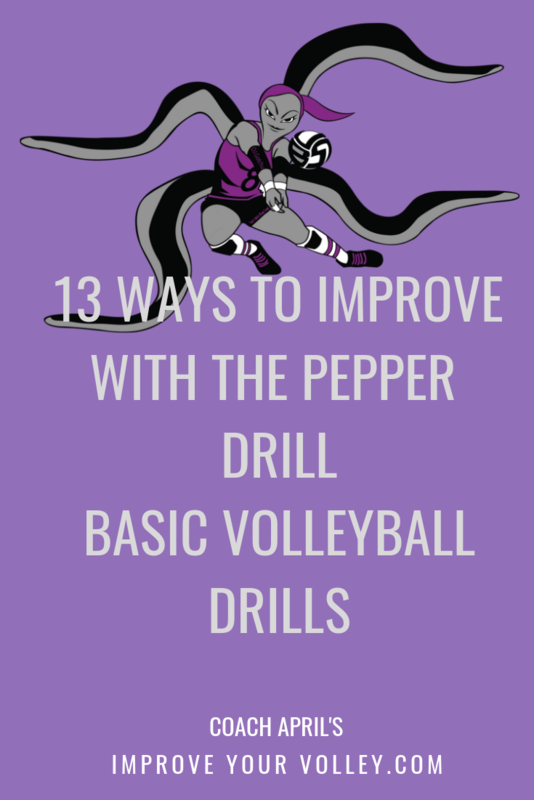 In the call and response partner setting drill I will make the following call so players can incorporate the jump set in this particular ball control volleyball drill. "Set a "1" to yourself and "jump set a 4" to your partner." Set a "4" to yourself and "back set a 5" to your partner. 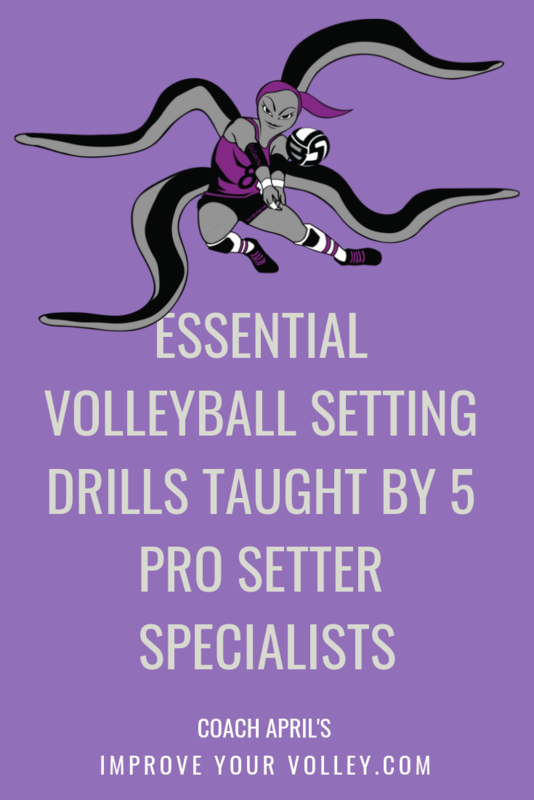 A "5" set is a high ball set behind the head of the setter, usually 6 - 8 feet in the air delivered to Zone 2 for the right side player to hit. 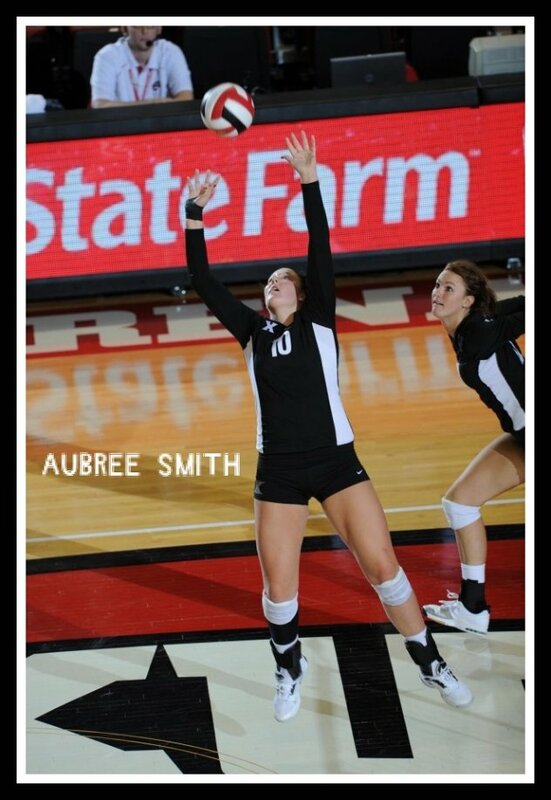 The key to the back set is quickly completing your half turn underneath the ball before setting it. 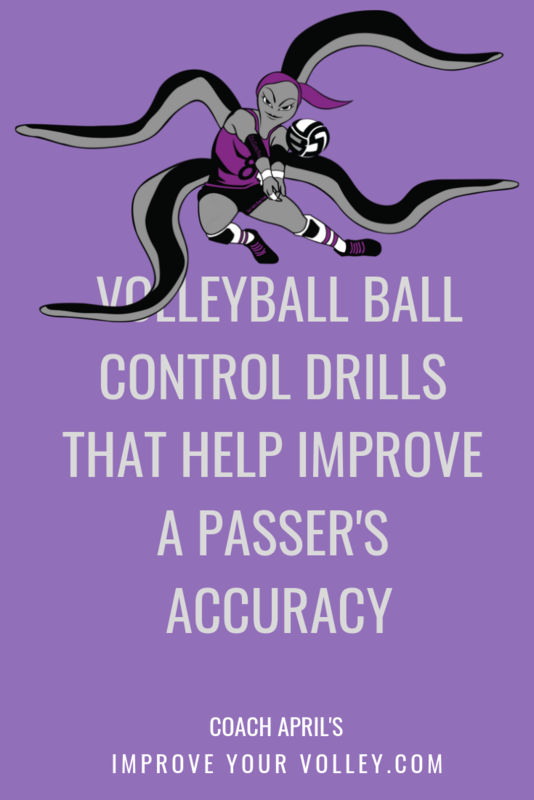 Many players turn too slowly under the ball, so the ball has already come down before they are in correct back setting position. Communication - this is a cooperative drill which means both partners need to work together to make this drill work. The partner who is setting absolutely needs to make a call to their partner who is backsetting. The back setter will not see their target but they can definitely hear them. When the non-setter makes a call like "right here" or "Yes" then the back setter should set to the voice. 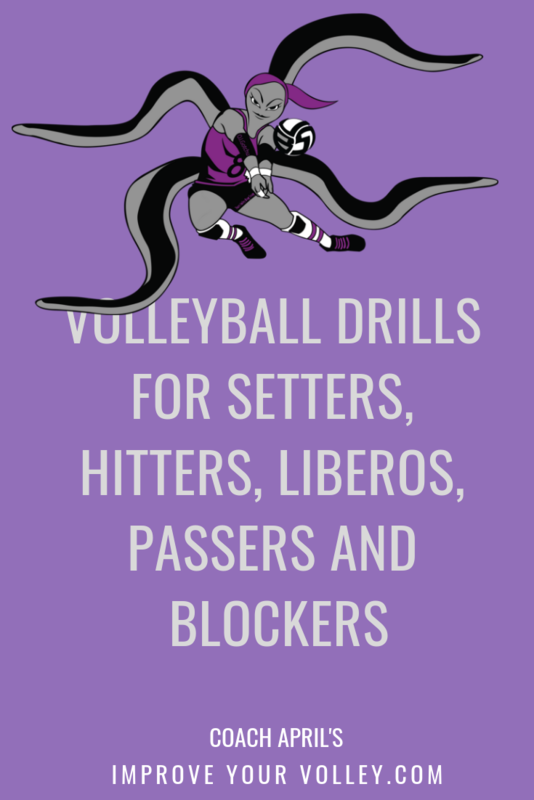 For players that are looking for a new ball control volleyball drill that you can do at home and in your spare time, or introduce during club or high school workouts you might want to learn a few of these yourself or share some of the ones above. You can do all of the above with an odd number of people in a group. 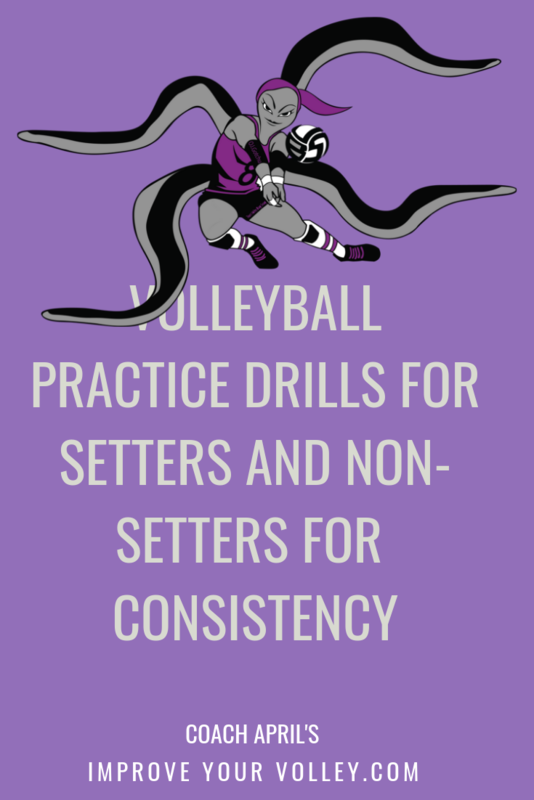 Looking for a variation to your partner setting drills? What can you do if you have an odd number of players? Here's what it looks like as a seven person setting drill. 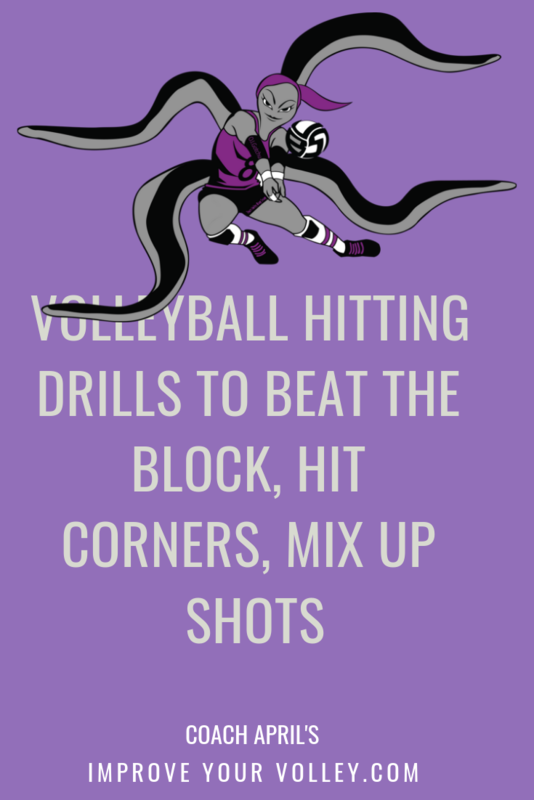 During your practice warmups after you do the traditional setting back and forth, try combining a group of two players with a group of three players for some cross court setting reps. In the group of three, after the setter sets, they shuffle step to join the group of two on their right. The player on the far side doesnt move until they're told to or tagged by the person who just joined the group. Proper technique while setting under pressure. Everyone works together as a group of seven because everyone needs to work together to control their ball making sure it travels back and forth in a straight line while still performing the assigned two sets, in this case a two to yourself and a four to their partner. Many players play with tunnel vision on the court. When they focus on the ball..that’s the ONLY thing they see. 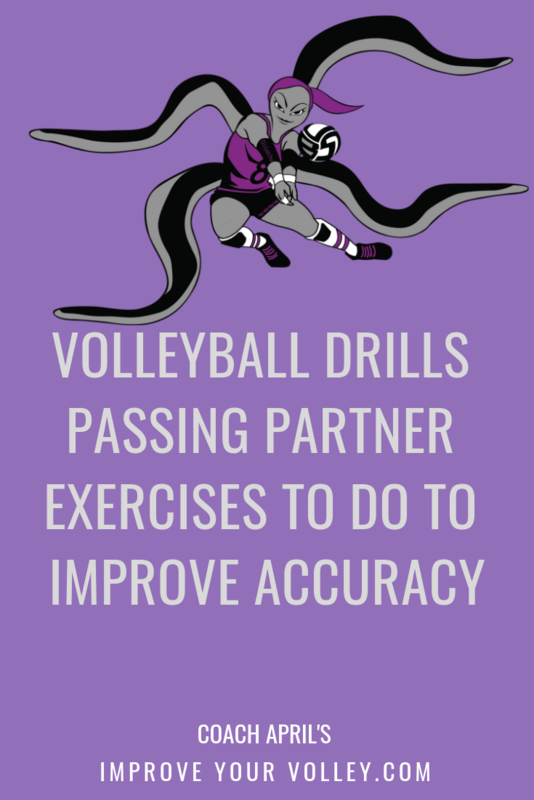 In these volleyball practice drills players are forced to be aware of what's happening on each side of them while still focusing on the ball. Quick feet while shuffling laterally. The player in the group of three is the one who moves clockwise. When they do they should shuffle step quickly to join the group of two on their right. They need to do it in time so they are in position to set the next ball. 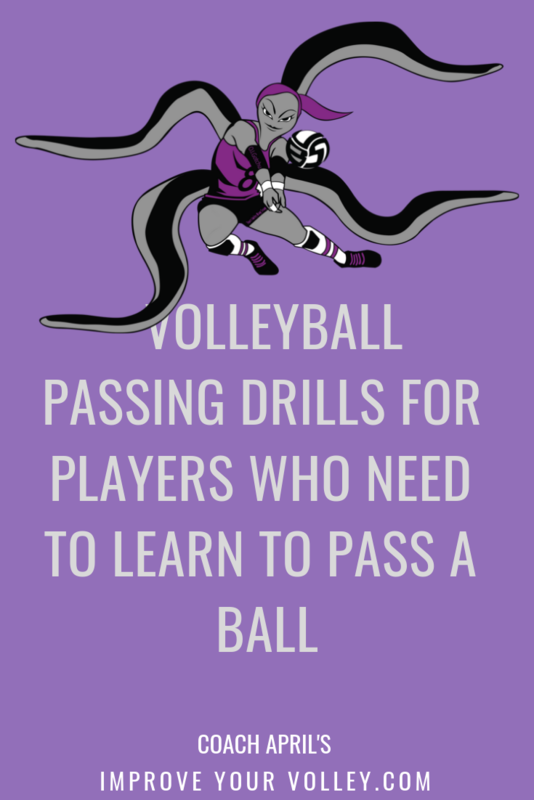 There's a ton of talk needed for each player in this drill, the same type of communication needed in a match. The player in each new group of three needs to let the others know when they are arriving and when the player on the far side is free to go join the next group over. The player on the far side should inform the group that they are leaving to make sure the other two know. The players in the groups on the end definitely need to talk to let the group of three know when they are crossing over to the other side to join their partner across from them. 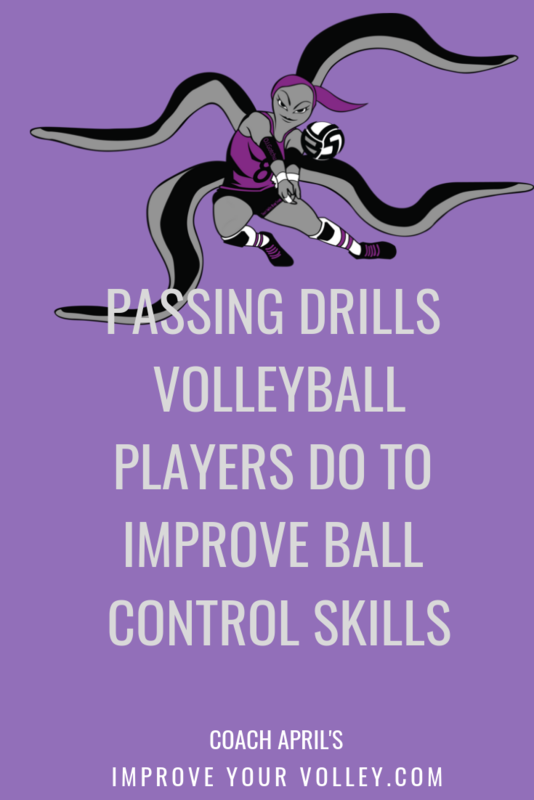 Understanding this type of ball control volleyball drill along with some of the setting volleyball drills we do in Boot Camp class may spark a few ideas about some practice repetitions you can do at home.